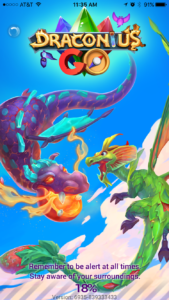 On the surface Draconious Go seems like a blatant Pokemon Go ripoff. Don’t get me wrong, it is, but the astonishing thing is in noticing what this obvious clone does right that Pokemon Go sadly fails to deliver on. 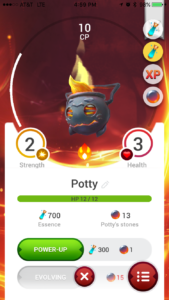 Despite being one of the most popular mobile games of all time and being out for well over a year Pokemon Go is still lacking in many areas to give the game more depth. The design is not bad for what it is. The throw mechanics are absolutely awful but the design is surprisingly good for what it is. The monsters you catch even look pretty cool. It’s nowhere near what I was expecting from a game that is so obviously derivative. While I’ve only played for probably about 30 minutes here’s what I’ve quickly gauged as being some obvious things that Pokemon Go could implement to make their game have more appeal in between their monthly events. 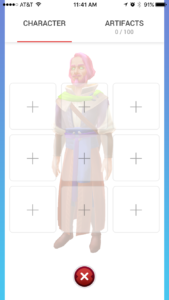 Pillars of abundance, their hilariously named take on Pokestops, offer a more wide range of items including random XP. Additionally you’ll find them everywhere. They seem to have solved the rural player dilemma by simply placing pillars all over the place and, honestly, it makes the game more fun not having to suffer in rural areas. 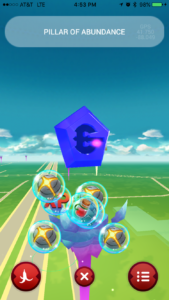 Yes, the real world landmark of Pokestops is nice, but the pillars just being there by themselves get he job done much better. On top of that you just find random treasure boxes in the wild sometimes, the way you find monsters. There are items you can find and equip your player with to give them special abilities. It would be great to see something like this in Pokemon Go. 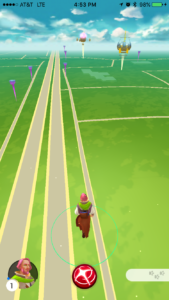 The ability to equip items to increase stardust yield, decrease buddy walking distance, or increase the visibility of wild Pokemon would only help in getting more people to play more often. One of the most frustrating things about Pokemon Go is trying to figure out your Pokemon’s IVs or stats. This game just comes right out and tells you. What a concept. In Pokemon Go you need to rely on third party apps (which are technically against the game’s terms of service) to decipher an enigmatic appraisal from your team trainer to understand how powerful your Pokemon is. I can’t tell you how much more enjoyable a similar feature would make Pokemon Go. 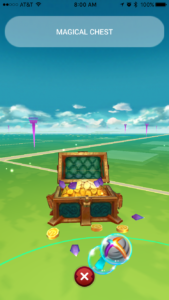 One area where Draconious Go absolutely beats Pokemon Go is that it has quests. 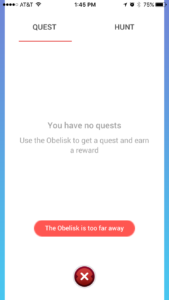 I and many other Pokemon Go players have been hoping, wishing that somehow quests would be implemented. 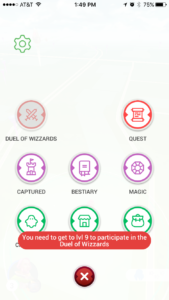 Daily quests, weekly quests, special quests, anything would be a huge boost to the game. It could start out small and then evolve the higher level you got. They could (and probably should) have used quests as a way to get a chance at getting legendary Pokemon. Right now to get Mewtwo you need to just wait for dumb luck on the chance you’ll be chosen to get an EX Raid Pass. Wouldn’t it be more fun if you had to perform a series of quests to unlock the most powerful Pokemon in the game? Additionally they have even implemented a PvP mode, something Pokemon Go fans have been screaming for since day one. While I’m not high level enough to participate in it yet it seems pretty cool. I’m sure there are dozens of other improvements in this game but after thirty minutes these are some obvious improvements I’ve noticed. Do I think I’m going to log the number of hours in Draconious Go as I have in Pokemon Go? No. It does a lot of things right but mostly I hope the folks at Niantic are paying attention to how much more their game could be. With the billions they’ve made on Pokemon Go I see no reason they couldn’t implement some of these features more quickly and make Pokemon Go much more than it currently is. Next PostNext Is the Pokemon Go Halloween Event Already Over?